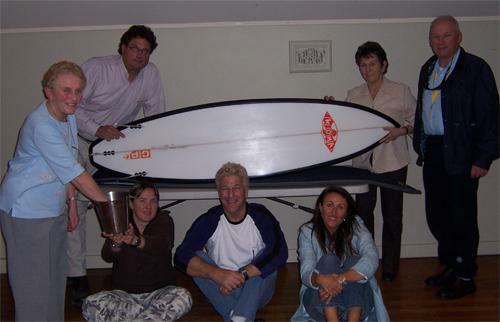 - Peter H is the very lucky winner of our fantastic surfboard! Drawn by Lois Levy last week in the presence of the SOSA Committee, Pete is to be thanked for making lots of donations in a truly desperate attempt to win the board. Or maybe just to help SOSA. Either way, CONGRATULATIONS PETE & HOPE YOU ENJOY IT!!! - Steve Gration has received a grant to pursue studies in the UK for the next few weeks- well done Steve! In his absence, SOSA Committee has with Steve's full support, voted Kate Mathews Hunt as our Acting President. Go Kate! SOSA also needs some Volunteers to attend the Gecko World Environment Day celebration this Sunday; if you can spare a few hours to hand out some stickers and help out between 10- 3 pm, please email jan@saveourspit.com. Thank you!!! Susie Douglas has stated publicly the concrete pathway through the dunes north of the Sheraton will go ahead. We remain appalled at the decision in circumstances where environmental scientists and planners tell us that the proposal is flawed and very bad for the non-urban dunal system environment. That's no storm in a teacup Councillor. In particular, we are concerned that the decision may have been driven by bureaucrats and made without full understanding of the environmental implications and the option of upgrading the parallel Phillip Park pathway. SOSA will continue to pursue educating the GCCC and our Councillors about this issue and will work with experts to ensure this information is understood. This strategy is perhaps the ONLY protection our community has against a continuation of this concrete pathway on the dunes all the way to the Seaway - regardless of public declarations by a current Councillor to the contrary. It's that serious. 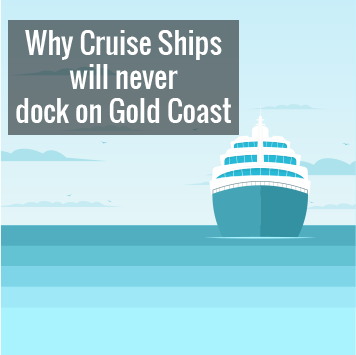 Gold Coasters are probably suffering a bad case of DEJA VU right now; with Carnival Cruise Lines and the GC Bulletin at it again - trying to suggest respectively that Brissie Port is too expensive (so let's have a Gold Coast ship terminal to force everyone's pricing down) and that a Malaysian Simulation Study supports a cruise ship in the Seaway. Good grief guys. Carnival's argument is known and exposed the world over when it comes to cruise lines. Yes they do better financially if they can push adjacent ports and their pricing around. Is that better for Qld? No way! And if the GCB are referring to the same Study commissioned in 2005 by the same pilots (read promoters) that we hold in our archives, then it shows unequivocally that the Seaway is NOT a safe place for a terminal and that ships would in many cases founder on attempting entry. And as recent discussions in Brisbane show, these ships are getting BIGGER not smaller- which is why the Bligh Government presently has a opened a project to develop a new terminal in Brisbane so that boats do not need to go under the Gateway Bridge... 'cos the new ones just won't fit. So, catch up GCB - you are two years behind the debate and seem (again) to have missed some vital facts. Such as the Government and the the community KNOW the Seaway is no place for cruise ships or a terminal development ? for a whole host of very significant reasons. Okay dear Subscribers - that's it for now. Many, many thanks to those of you who wrote to Susie Douglas and we would URGE you to keep up the pressure on these important issues with our Councillors. It seems we need to be ever vigilant. STAND BY for the release of the Government's preferred proponent for the development on the western Spit south of Sea World. SOSA has been in communication with the Government on this issue and will continue to talk to them about the need for appropriate development within the terms of the Local Area Plan for The Spit and most especially, the need for great parks and recreational areas to the north and east.